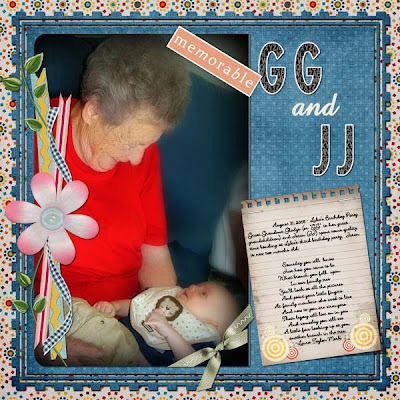 Great Grandma Gladys (or "GG" to her great grandchildren) and Jaren (JJ) spent some quality time bonding at Luke's third birthday party. Jaren is now two months old." Another branch in the tree. The papers and embellishments were part of the Scrap Girls Monthly club for August 2008.